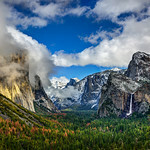 "Tunnel View in Yosemite National Park in Winter"
Always one of my favorite spots in Yosemite National Park is "Tunnel View" giving majestic views of the Yosemite Valley including El Capitan, Half Dome, and Bridalveil Falls. 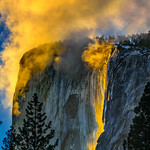 Located just a mile and a half from the Bridalveil Falls parking lot up Highway 41 (the Wawona Road) it offers some of my favorite views of Yosemite for sunrise or sunset. The clouds constantly change giving different views of Yosemite for photo taking. This is a must stop spot in Yosemite that might get missed if you only stay down in the valley floor. If you are adventurous, you can hike up higher to Inspiration Point to get yet another vantage point that many people don't get. It is about a 2.5 mile roundtrip hike and ~1000 foot elevation gain, but the views are spectacular as well. 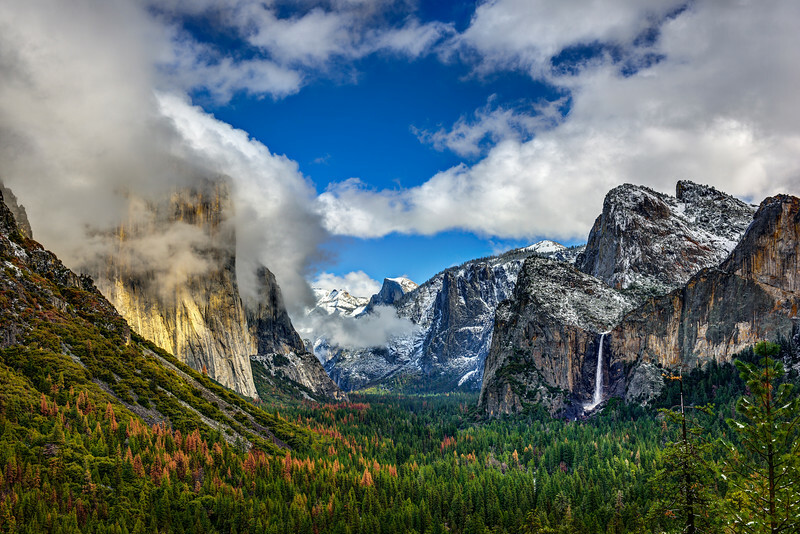 Make this a destination to your trip to Yosemite. Can you imagine what this looked like when John Muir first took in the view from here?! If you time it right late afternoon in the spring, you can get nice rainbows on Bridalveil Falls as well.